As much as I loved Fire Emblem: Awakening, Fire Emblem If is going to need to do more than just be a carbon-copy clone of the previous game that features porcelain-skinned protagonists. Sure, the core gameplay of building a team and reinforcing their bonds in order to make them more effective in battle while the spectre of a perma-death hangs over them (Tharja escaped the Tali effect in my game) is always appealing, but I want moar. And the next Fire Emblem game is going to do just that, with some good ol’ base-building. And here are the details. The new feature in Fire Emblem If is a base-building mode by the name of “My Castle”. Players will essentially build their own village, which can be explored in three dimensions. You’ll also have a “My Room” sub-feature and a farm to gather crops and crafting materials. New buildings can also be built, such as stores which can be run by your characters and leveled up to stock better items. Eating is now also a thing. Players can dine and dash, grabbing a quick buff for the battle ahead. 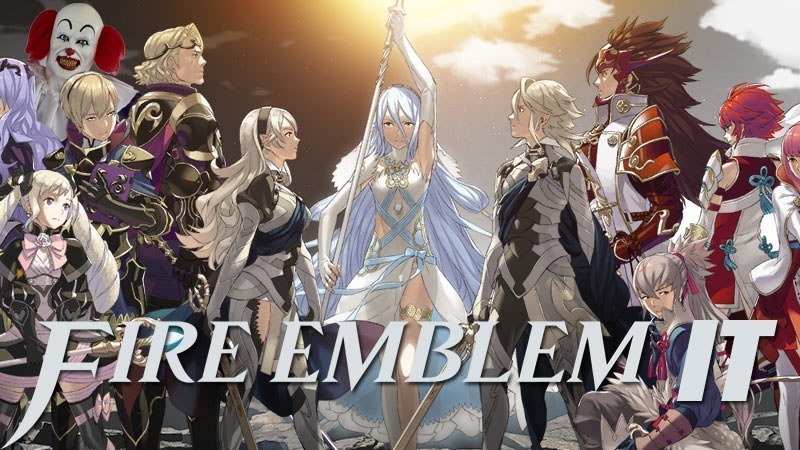 Fire Emblem If is also pulling a Pokémon, with players able to trade unique weapons with each other depending on the kingdom that they’ve sworn allegiance to, using the StreetPass feature. Neat! The game is out in a few weeks in Japan. For us western fans, it’s going to be an excruciatingly long wait for it to be localised and brought on over. Next article Was there really a backlash against women in FIFA 16?